From years since the Internet has born, security breaches are following its widespread shadow like a nightmare, causing several damages to the Internet owners as well as to the users. Threats like hacking of data etc, virus infection, and system failures are prevalent and are more likely to increase in upcoming years. Malware is a very well known among several vulnerabilities of website security. With its deeply effecting symptoms it has been succeeded spreading its arms in social networking as well as in mobile application fields. Following article will help you come across the facts like what is malware, damages caused by malware, different types of malware and their effects, pitfalls causing malware attack and the Anti- Malware technique. Malware is malicious software, developed intentionally to corrupt the computer or the contents of a website. It consists of all that you are scared of, viruses, Trojans, adware, spywares, root kits and the list goes on. It can infect your system in many ways beyond your imagination. Some malware may stop the execution of certain programs or applications on the other hand some may take over the control of your system and force to run some of the applications of course for fulfilling their harmful intentions whereas some may steal your sensitive data such as contact details, credit card numbers etc. Trojan.Wimad.Gen.1 Uploads malicious software on the user’s computer system as soon as the user plays a normal Windows Media audio file. Trojan.Drownloader.JLPK It is malicious software that downloads more malwares by decrypting the functions. Trojan.Exploit.SSX Is designed to steal user information by inserting an invisible iFrame into a pure code through SQL injection attacks. Trojan.Exploit.ANPI A malicious visual basic script designed to expose the user to the susceptibility in Internet Explorer to download save and run an infected file to steal the user information. Trojan.IFrame.GA A script based on Java, gets inserted in to the corrupted websites and forwards the browser to the hub of various Trojans like Trojan.Exploit.ANPI for stealing info. Trojan.Downloader.WMA.Wimad.S A fake application residing in a media file extension, which on executing asks user to download a file named “Play_MP3.exe”, resulting in stealth of user’s info. How does Malware affect your website/business? Top search engines like: Google keep an eye over the malware affected websites and regularly update their lists and blacklists those websites. Once your website is blacklisted, Google shows a warning regarding the risk in visiting the website. Depending among browsers, customers receive varied warnings about a malware infected website. For those websites which handles a large business online, getting blacklisted is the worst situation as along with the visitors and customers they will also lose their reputation. Once a visitor has viewed that your site is blacklisted, he/she will definitely spread this fact to his/her friends and relatives resulting in insignificance of your website/business. Businesses ranging from small sized to the medium ones are more likely to get attacked by malware and phishing. Generally these types of organizations stay in a delusion that no one is interested in hacking our websites and hence they do not protect their websites (having no SSL certificate installed). This pitfall provides the ground to the malware and phishing attacks. Sometimes the source of the malware attack is found in the outside code or in the plug-in which is bad enough to make you a victim. In recent years organizations have adopted a numerous ways of increasing the traffic on their websites like: Mobile devices and social networking have helped them a lot in gaining customers and reputation. But as the level of security is improved so is the level of breaking the security cover. According to a survey carried out by Google, about 350000 websites were found hosting malware in 2009, while in 2010 this range was doubled in a shocking way. In 2011, 286 million different types of malware were identified. Failing in updating of patches on web servers/applications and systems. Accessing public platforms like: clouds, social networking sites, mobiles can be the resources of malware. Hyper interactivity on the websites like user comments, uploading images and files, integrating with social networking sites etc increases the chance of malware attack. Non guarded user input, faulty logging mechanisms, failing to close the database connection. Firing of queries for SQL, LDAP and XPath, command line of OS and program arguments are highly probable of inserting malware. Application stores of mobile devices provides huge platform for malware attack. Social networking sites and cloud are highly responsible of injecting malware. Where in twitter generates a lot of malware transmission chambers on the other hand cloud computing does not provides appropriate visibility control over prevention. Best way to prevent your website from malware and other such cyber crimes is to aid your website with proper security tools like: firewalls, web application firewalls (WAF), Intrusion Detection Systems (IDS) and so on. As far as prevention from malware is concerned, there are a number of products available; one amongst them is anti-malware scanning tool. Anti malware scanning tool helps find the malware hidden beneath the web pages by scanning out them. Alerts on finding a malware, this tool is very simple and also easy to integrate with, provides with a trustable seal. Anti-malware scanning tool varies depending on the factors like: scanning frequency, scanning speed, performance impact, footprint, and scale and also on database keeping the track of the updated threats. Different vendors provides different salient features along with the scanning tool such as enhanced reporting capabilities, synthesis with other familiar tools, dynamic updates, removal of site seal on the mark and other significant features. GeoTrust, world’s second largest SSL Certificate selling brand offers a varied range in anti-malware scanning products. GeoTrust’s anti-malware scanning products are complemented with functionalities like: identification of malware scanning, on the spot alert notification on finding malware, a user-friendly removal technique including features like taking quick action during a malware attack and prevent the site from being blacklisted. The site seal along with anti-malware scanning tool improves the level of security and also helps gain trust of visitors. Easy and user-friendly guide for step by step removal of malware. Scans on demand to ensure the status of the health of your website. 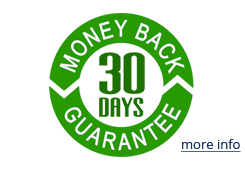 Enhances customers’ trust through trusted site seal. As the awareness regarding the cyber crimes is increasing, customers now demand a strong security as to prevent themselves from being victim. Installing a superior defense product like GeoTrust Website Anti Malware scan will not only keep you safe from malware but also increases your reputation significantly. With its trust seal and other complementary features it stands as a must have product preventing from the malware vulnerabilities.